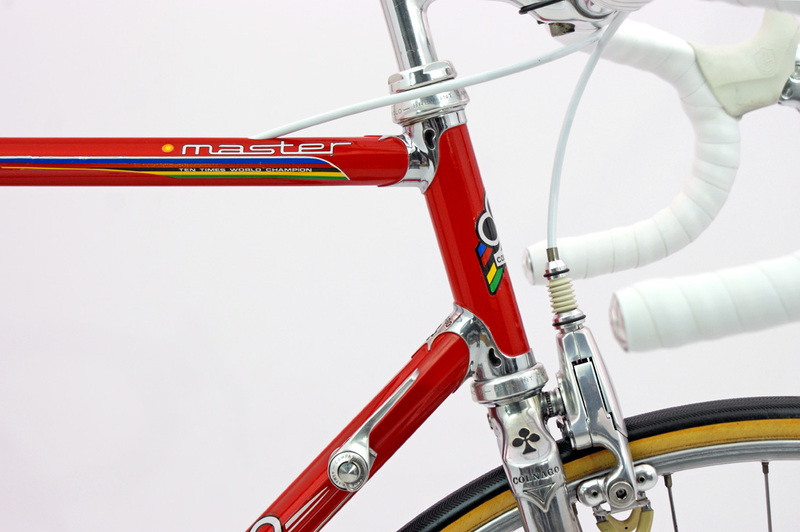 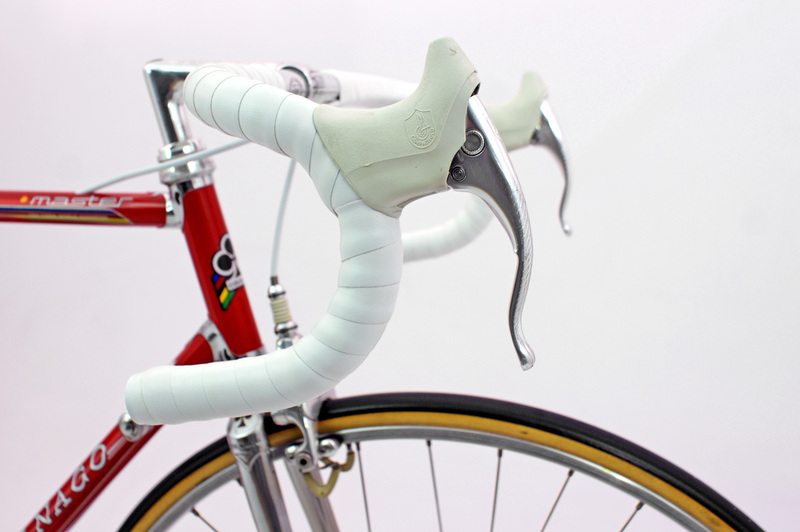 Here is something very easy on the eye - a 1989 Colnago Master Pui. 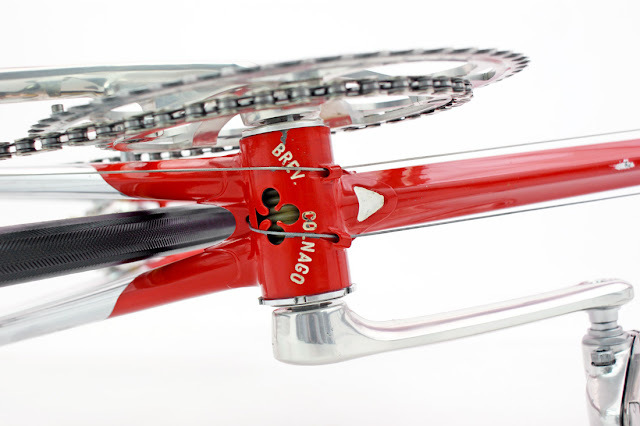 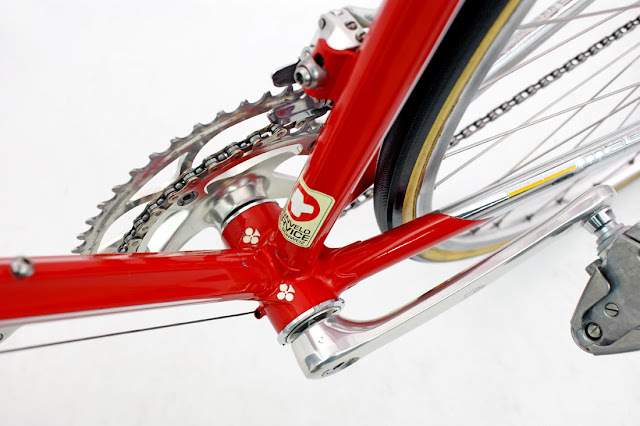 The Master Pui is a variant of the Master series of Colnago steel framed bicycles. The Pui versions were introduced from 1988 onwards and are highly prized collectable bikes. 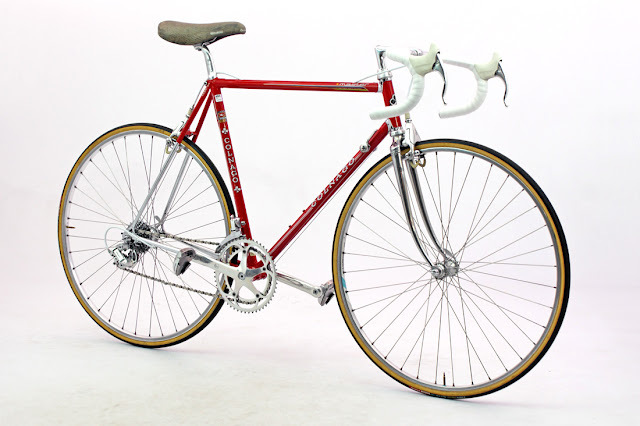 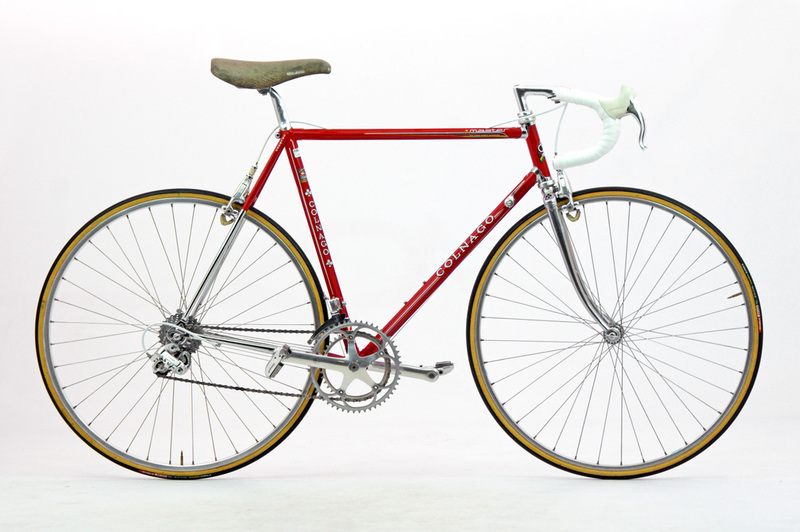 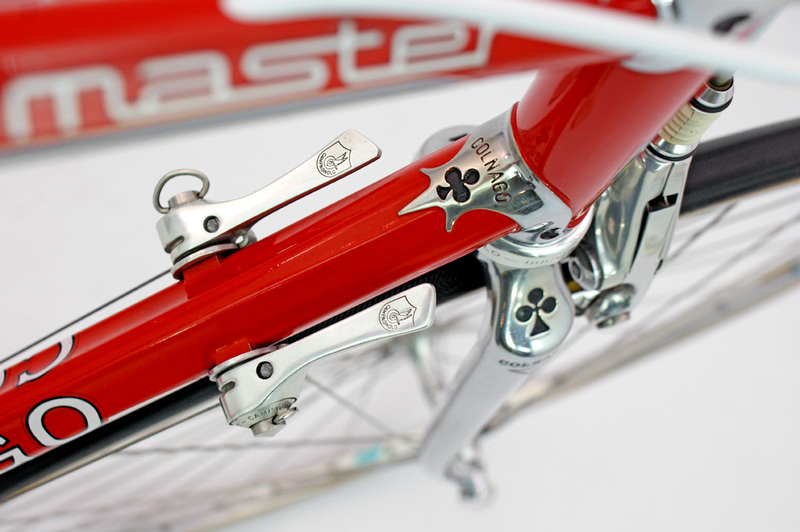 Ernest Colnago started making steel framed bikes in 1952 and was a bike mechanic for Faliero Masi in 1955. 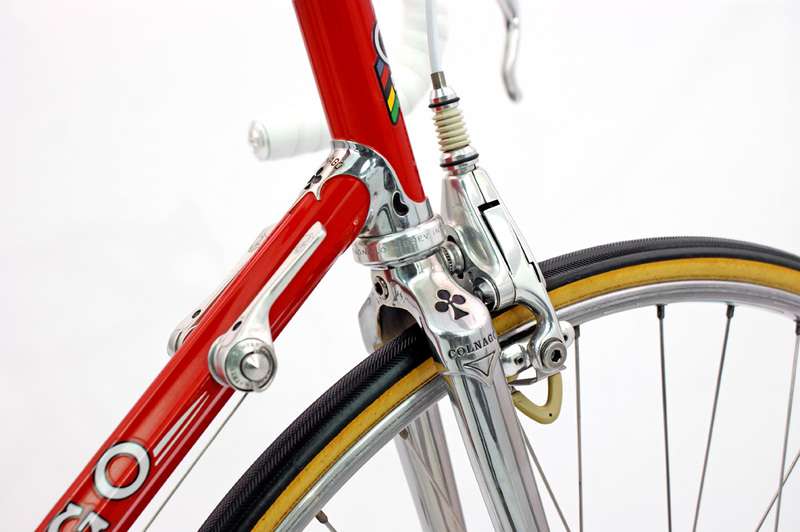 The Colnago brand continued on with great success and in 1963 was a big part of the Molteni Racing Team that developed the cycling legend Eddy Merckx. The Colnago Master series of steel bicycle frames are still manufactured today, although they are a very rare sight on a Sunday morning ride. 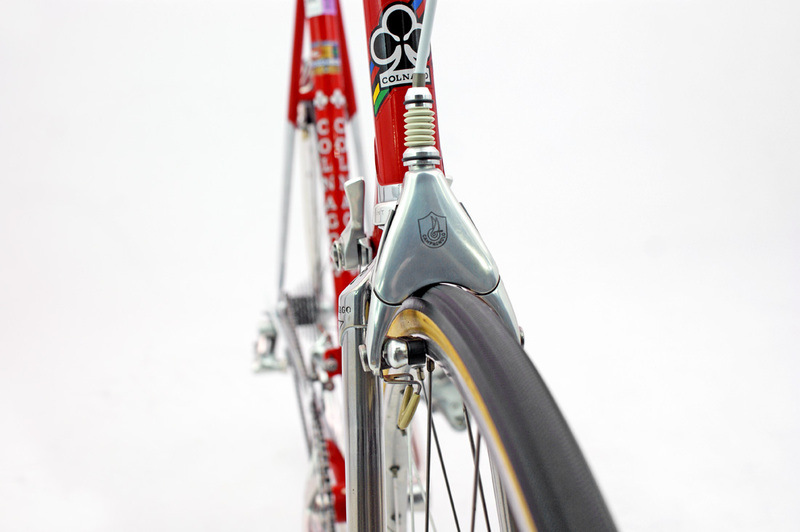 Enjoy this one.....chromed lugs, chromed fork, built with Columbus nivachrome 'Gilco' shaped steel tubing, and dripping with a Campagnolo C Record groupset including Delta brakes. 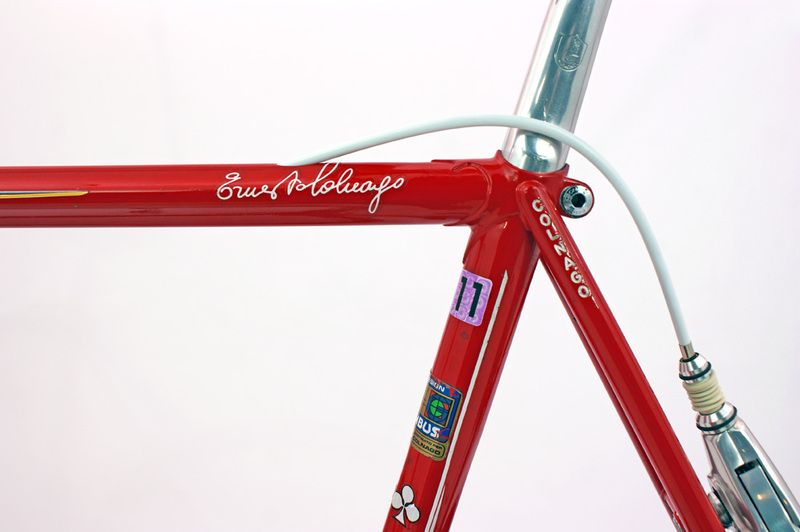 The pantographing on the frame also makes it a standout model. 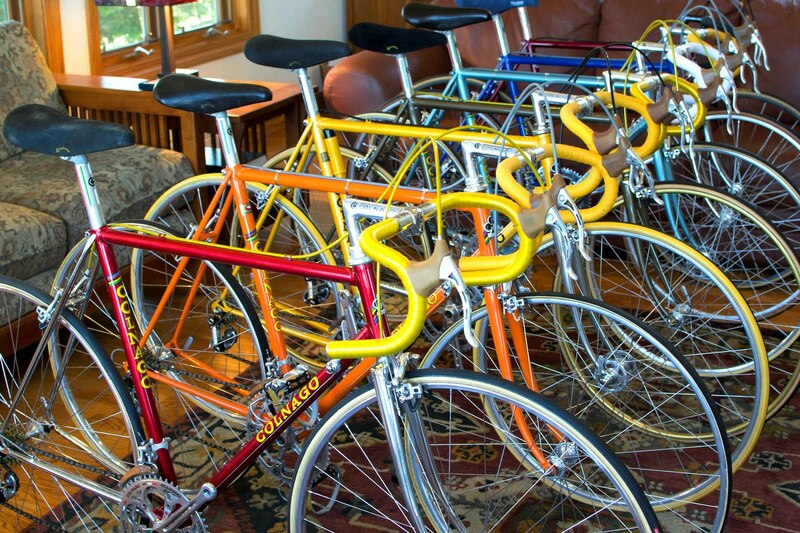 If you have an interest in Colnagos here is a great photo titled 'The Colnago Rainbow' that includes 6 Colnago steel framed bicycles manufactured between 1974 to 1982 (ROYGBIV). 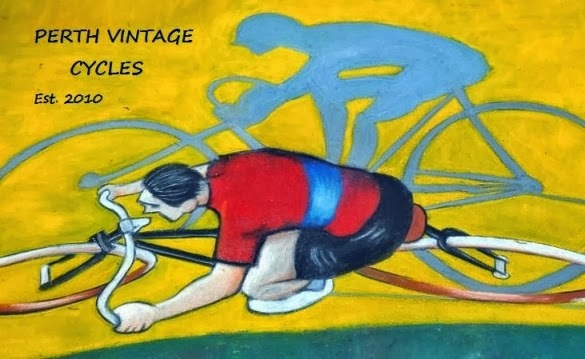 Thanks to the Velo Classics website for the image. 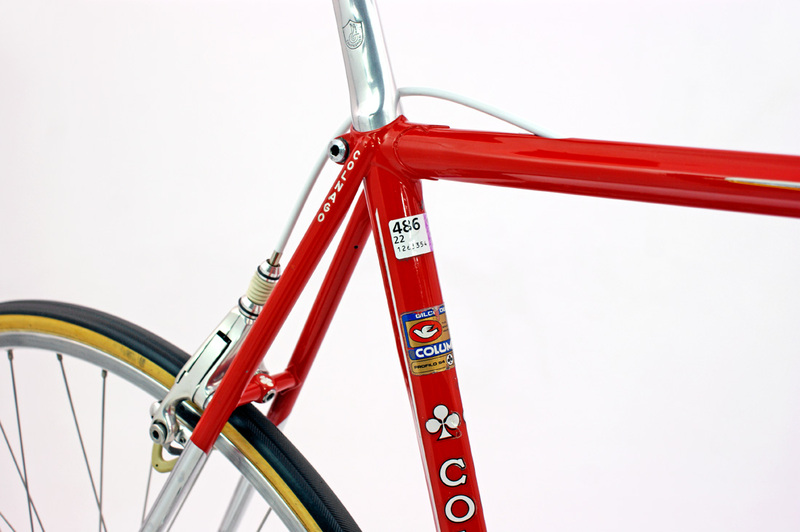 Labels: Colnago 1989, Colnago Master Pui, Master 1989.